Al Carbee poses for a portrait in front of one of his favorite photographs. Carbee's work is on display at the Saco Museum. 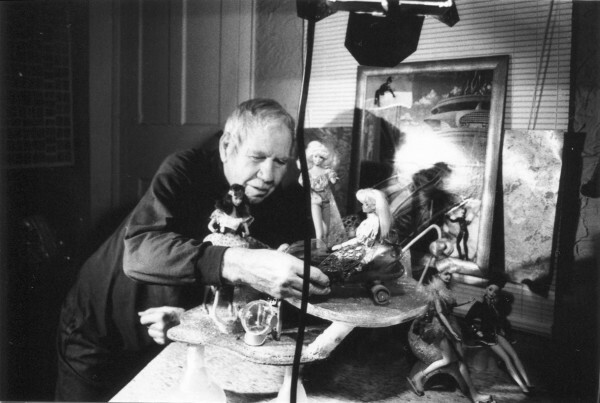 "Magical Universe," a documentary about the reclusive, eccentric Maine artist Al Carbee, will be screened at the Portland Museum of Art Nov. 14-16 and is available on Video On Demand. You never know what goes on in those houses you drive past every day — houses you hardly take notice of. Could be nothing of note. Or they could house an artist, holed up for years, painstakingly crafting his or her own creative, wildly eccentric world. You can’t know until you chance to look inside. That’s what filmmaker Jeremy Workman encountered while on a vacation in Maine back in 1999. A friend pointed the documentarian in the direction of one Al Carbee, a reclusive resident of Saco whose deceptively average-looking house contained multiple rooms packed with thousands of works of art done by Carbee, then aged 85. 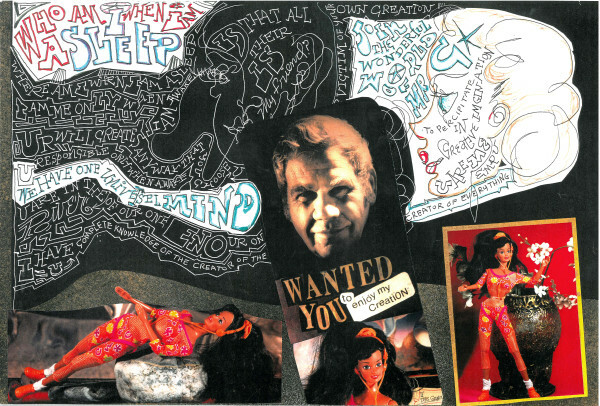 Mostly wildly imaginative photographs of the more than 500 Barbie dolls the man collected, posed in hundreds of different settings, but also painted portraits, collages and elaborately illustrated handwritten journals. Carbee’s most unusual story is finally told in the decade-in-the-making documentary “Magical Universe,” which will be shown at 7 p.m. Nov. 14 and 2 p.m. Nov. 15 and 16 at the Portland Museum of Art, presented by the Space Gallery. It’s also available to rent online via Amazon, iTunes or Google Play. Workman, who with his wife, Astrid, grew to become friends with Carbee before the artist’s death in 2005, didn’t begin work on “Magical Universe” until 2009. 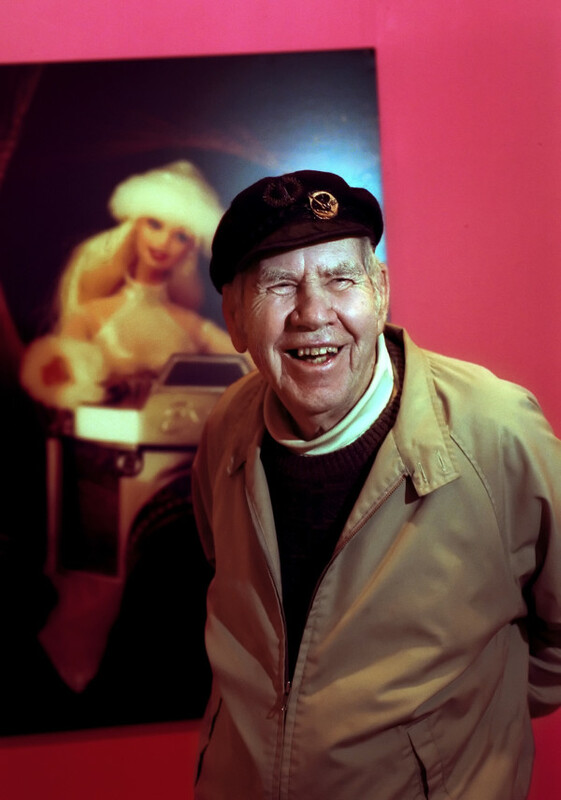 Carbee, a Maine native, kept mostly to himself, and by the time Workman met him, he was in his 80s, and had spent decades collecting Barbies and posing them in detailed scenes — Barbie in space, Barbie in the mountains, Barbie in Paris. For Carbee, Barbie was more than just a toy. She was a symbol of humanity, of possibility, of the magical world that he entered into in his dreams and then translated into his art. His wife, Edna, who passed in 1998, tolerated his restless creativity, but never quite liked it. His ramshackle house in Saco — which had been in foreclosure for years when Workman met him — was greatly altered by Carbee over the years. Whole rooms were devoted to his art. Carbee even excavated his own subterranean cavern. It wasn’t until a 2003 show at the Saco Museum that anyone ever saw Carbee’s art. Telling his story was a challenge for Workman, especially since Carbee had died and his house was seized by the bank not long after — and all the art contained within it was destroyed. Getting filmgoers to pay attention to a movie about an artist no one has ever heard of is a challenge — but Carbee’s tale, as told by Workman, is one that’s ultimately a moving story about staying true to one’s passion, and the dogged devotion of a creative person to his art. “Magical Universe” screens at 7 p.m. Nov. 14 and 2 p.m. Nov. 15 and 16 at the Portland Museum of Art. Admission is $8. For more information, visit magicaluniversefilm.com.